Doing my annual house-sitting duties for my parents, my childhood home in Studio City becomes my home-base for a few weeks. As I was sitting at my computer, I saw a friend post about a new gelato place in Studio City. How could I not know about this place just down the street? How did my ice-cream-aholic mother not know? Well, that is because it opened the week my parents left on their trip. 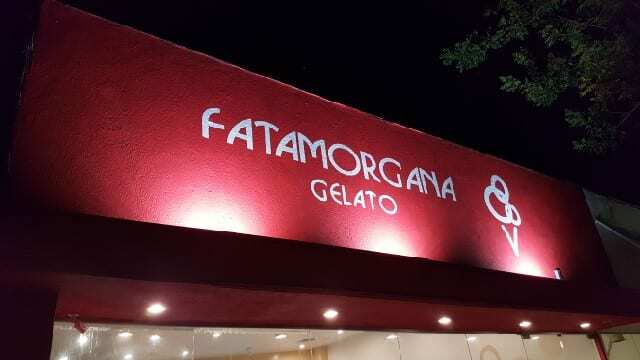 So, with the excess heat, I ventured out not once, but twice (ok three times) in just as many days to enjoy a gelato from Fatamorgana and hence Fatamorgana is the Please The Palate pick of the week.